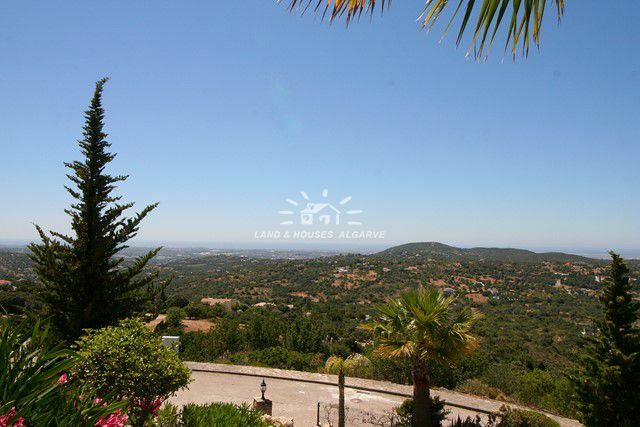 Positioned on an elevated plot of land with spectacular views of the countryside and the sea, is this high quality single storey property. 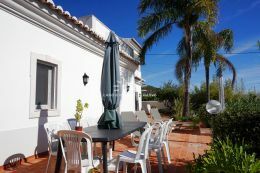 Located in the Central Algarve, just 15 minutes from Faro airport and the beach this property has easy access to various amenities including shops, restaurants, supermarkets, etc. Accessed through and electric entrance gate the villa offers an entrance hallway, cloakroom, a fully fitted and equipped kitchen, a laundry room, a living room with wood burning stove and dining area, 3 en suite bedrooms with fitted wardrobes, a 4th bedroom currently used as an office and a single garage with an electric door. 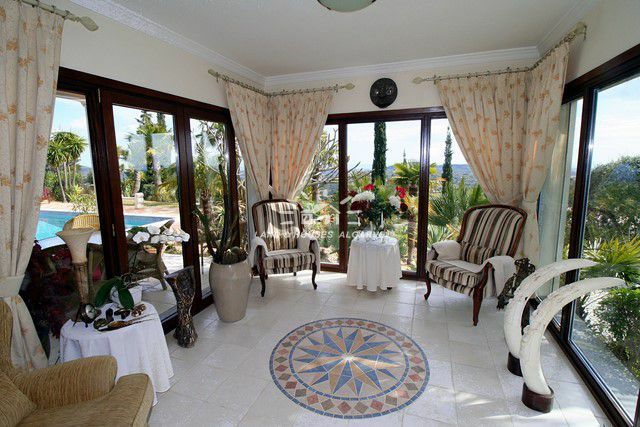 The property offers full electric under floor heating, double glazed windows, electric shutters, satellite TV, internet, air-conditioning, an alarm, solar panels for domestic water use, a salt water swimming pool, a beautiful garden with rockeries, lawns and fruit orchards, covered and open terraces and use of mains water. 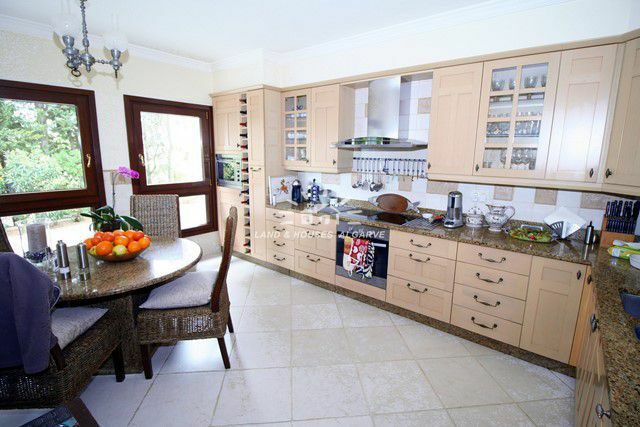 This is a high quality home with spectacular external areas situated in an enviable location.